Nice! That is great you have such a supportive family. It definitely is a big motivation to sign up early. 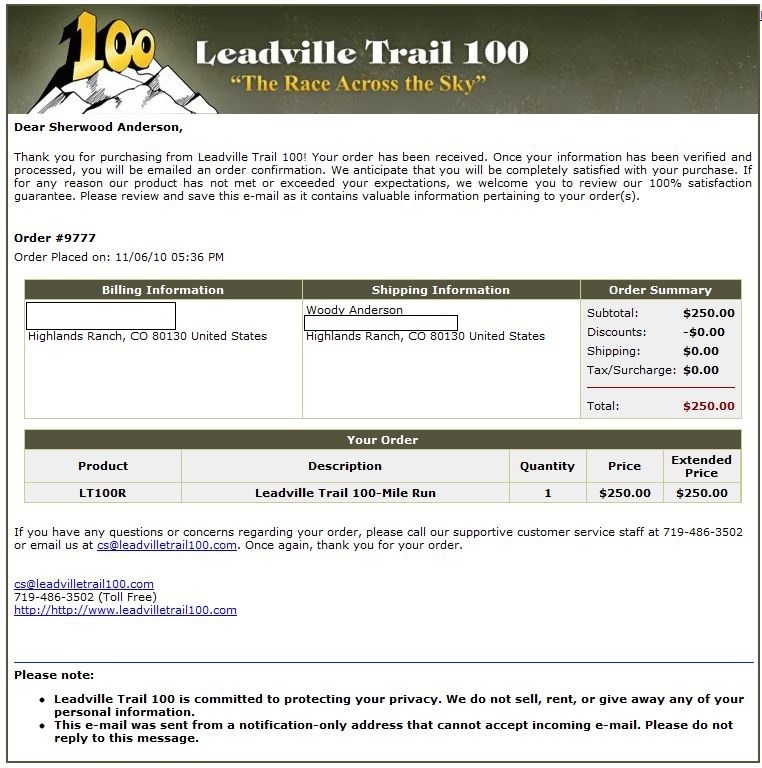 Good luck and see you on the trails! That is just too freaking cool. Love the fact that everyone was involved. Really, really cool... Made my night. Woody, great chatting and running with you the other night at Mt Falcon. 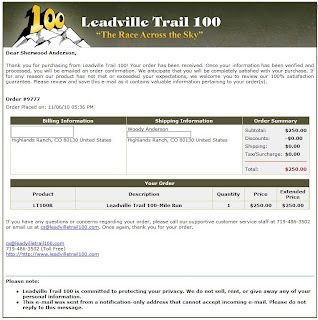 Very exciting with the manner you signed up for Leadville. Your family and passion for the sport alone will do wonders that weekend. Thanks guys. I have some work to do convincing my 8 year old, Megan, that running this is a good idea. When asked if she thinks I will finish it, she said "No". Gotta love the honesty you get from your kids! Congrats on making the commitment, that's cool, and I like how the whole family was involved.